Welcome to Burn City Disco Fourteen (the last BCD for 2018)! It's simple, we want to disco and you want to disco so - LET'S DISCO! Faze Action are the brothers that made disco fashionable again. The Club DJs and record producers are charged with having started the Nudisco genre. 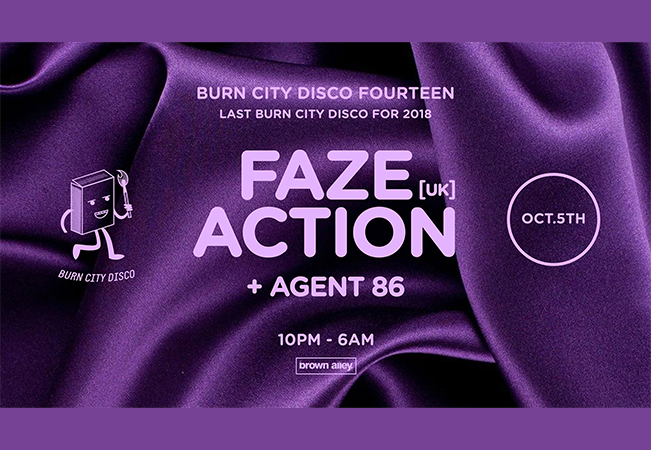 With over 20 years of experience we are lucky to have Faze Action at Burn City Disco for a DJ set. Followed by Discovery - A Disco Recovery! We encourage you to be yourself and to have fun. The dress code is YOU so wear what makes you happy and let's dance!